Wayne is a Director in our Southend office. He is a qualified Insolvency Practitioner, having trained with Begbies Traynor and passing all three papers on his first attempt. 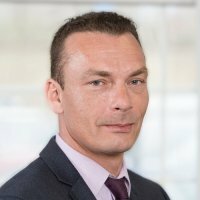 Wayne joined the firm as a Trainee in 1998 after obtaining a degree in Economics from the University of Sussex. After qualifying in 2003, Wayne was promoted in 2004 to the position of Manager, and became an appointment taking Director in 2006. Wayne specialises in work for the construction, print and retail sectors. He has also completed assignments in wide variety of sectors in the UK, including work for high profile sportsmen and TV personalities.